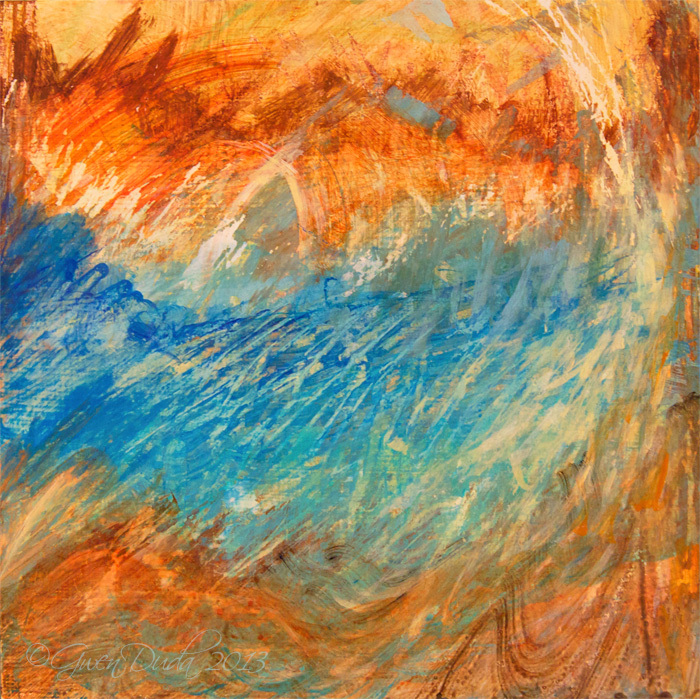 A dynamic colour palette of manganese hue blue and burnt sienna this creates a vibrant piece. It gives you an idea of what it might look like if a wave rolled in from the ocean to the middle of Arizona deser. There's at least one fin in the water. Measuring 6" x 6" original acrylic on panel board.